HSL is Sarawak’s market leader in marine engineering and a key national player in the industry mainly due to its extensive experience in dredging as well as a comprehensive fleet of equipments. Over the years, HSL has invested in specialized suction dredgers, including a fully computerized hydraulic cutter suction dredger, the Mark III (pictured below) and remains the only contractor in the state to own such equipment, giving it a competitive edge over its competitors. It also has a fleet of tug boats and steel barges mounted with clam-shell bucket cranes to perform sand extraction. The Mark III, HSL’s fully computerised hydraulic cutter suction dredger in action. Water-related infrastructure projects which draw on HSL’s marine engineering skills are an area in which HSL excels. These can range from mini-dams and weirs to flood mitigation and sea wall protection. Rural water supply, water intake and processing facilities as well as centralized sewage systems are areas of ongoing growth for the Group. Sarawak’s rugged, mountainous interior has restricted urban development to the coastline and the immediate low-lying riverine hinterland. In these swampy areas, land reclamation is an essential precursor to the construction of roads, residential, commercial and industrial facilities. Large-scale site clearance, sand and earth fill operations require advanced methods, complex logistics, geotechnical engineering expertise and specific heavy machinery. 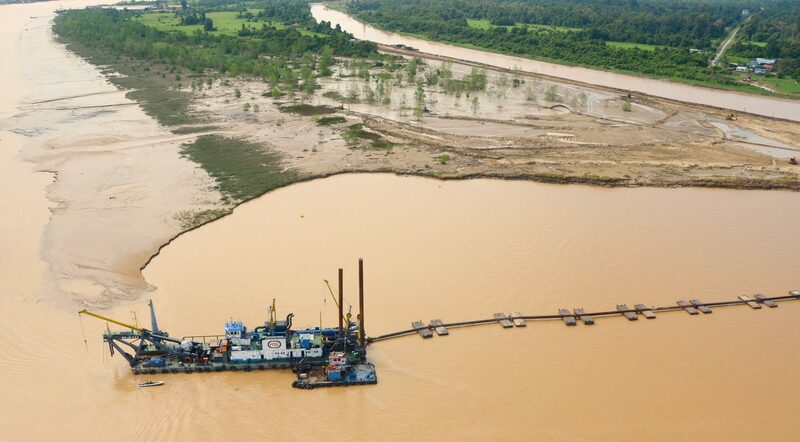 Thus, land reclamation is a highly capital intensive and specialized field, yet one that is much sought after when flood-prone, peat soil plains predominate as they do in coastal Sarawak. 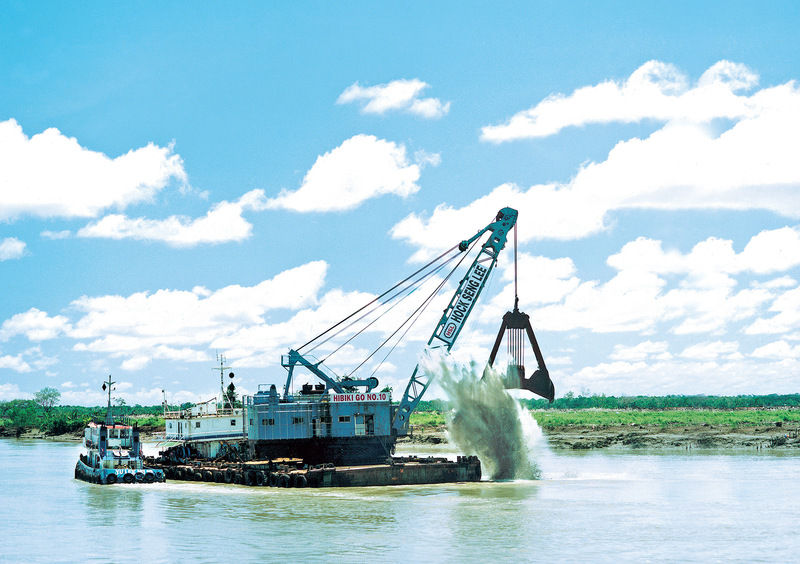 HSL has secured its market niche through the ownership and ongoing renewal of its vast dredging, marine and heavy machinery portfolio and its pioneering use of cutter suction dredging, hydraulic sand haulage and sophisticated soil improvement techniques. 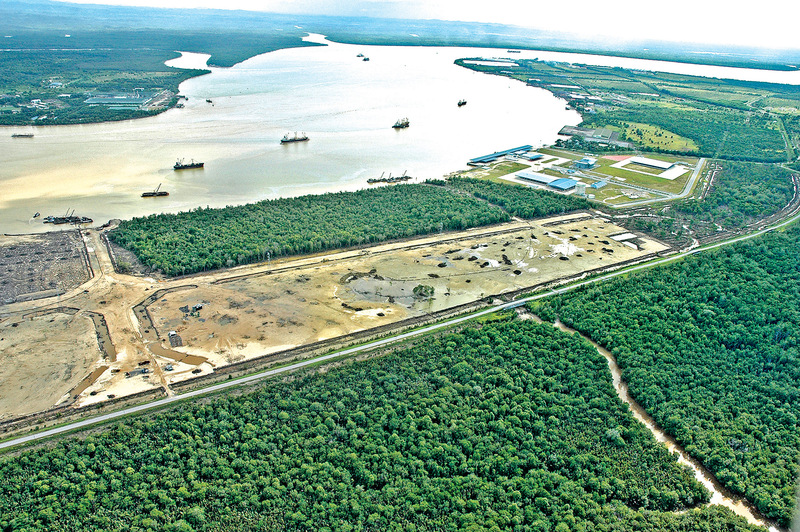 It is estimated that HSL has reclaimed some 7,000 acres in Sarawak including numerous major industrial parks, new townships, affordable housing estates, sea ports and airports. HSL has invested in a large fleet of laser-guided Tunnel Boring Machines (TBM) in a range of diameters suited to the installation of sewerage pipes. Mastering this technology and constructing sewage treatment plants are skills much needed in Sarawak where cities must progressively convert to centralized wastewater management.